Our People – Our Sharing-heart. Our passion is to make adventure accessible and to do it in the right way. We are a team of local experts who want to inspire and create lasting memories. As a team, our skills include tour development and research, adventure specialists, tour operation and responsible tourism. Siem Reaper’s guides are full of personality with a passion to share authentic local experiences. They are dedicated to their country and focus on sharing their knowledge in an interactive way. Vathana has worked many years in the travel industry and has a wealth of knowledge and experience of different cultures and working practices. He really enjoys meeting travellers from other countries to learn and share experiences. He firmly believes that the best way to explore a country and its landscape, culture, and people, is to travel with a local insider. Vathana has a passion for immersive cultural experiences that have a positive change to local communities. His responsibility is to support the local team and an adventure specialist. 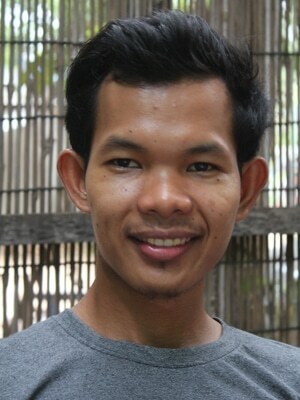 Growing up in the countryside of Siem Reap, he gained a love for the outdoors from an early age. Now, with Siem Reaper, he’s excited to help travelers put together travel experiences that are unique to each of their interests. He focuses on growing our local specialist network and helping our travelers have amazing experiences. Travel is one thing he is passionate about, and he will do his best to make everything as seamless as possible for getting your trip engaging in a lifetime experience. Sokvuth or call him George has a background in hospitality and has worked in the hotel industry. He has joined the Siem Reaper team to learn the trade of guiding. Through his hard work and skill, he is now one of our tour guides. Sokvuth loves introducing people to new experiences, cultures and little-known places. He believes guiding offers him the opportunity to meet new people from all corners of the world and share his story with travelers. Being a local specialist brings him a lot of joy. He enjoys talking to different people, tasting different foods and sharing his local experiences. His job is to bring unique findings to the clients going on a tour with us and making them satisfied will be the biggest success of his job. He isn’t just to provide the service but also love to be your friend and that will be one of the best parts of his life. PEACE AND LAUGH! Jenny is a part of Siem Reaper content writer team, inspired an abiding love of both travel and content writing. She’s excited to combine her travel experiences into one job and help travelers to get closer to the destination they visit. She always enjoys meeting new people and reading more books to get inspired for writing her own experiences and finding the local character of every destination closely follows its unique storytelling. Her experiences and passion for creativity have led her to work with Siem Reaper where she hopes to create change and influence others by travel with a local insider. 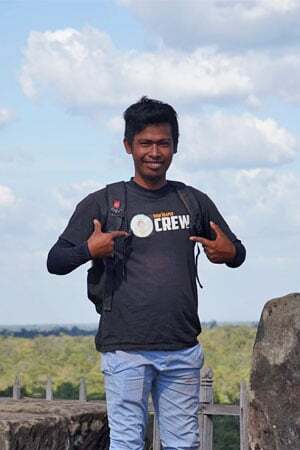 Morn has joined the Siem Reaper team since the startup and has been working as a professional driver for many years in the tourism industry in Cambodia. He loves to take a traveler and shows them around his incredible country has to offer. He knows more the destinations beyond Cambodia that can make your trip become easy, safe, fun and unforgettable experiences.